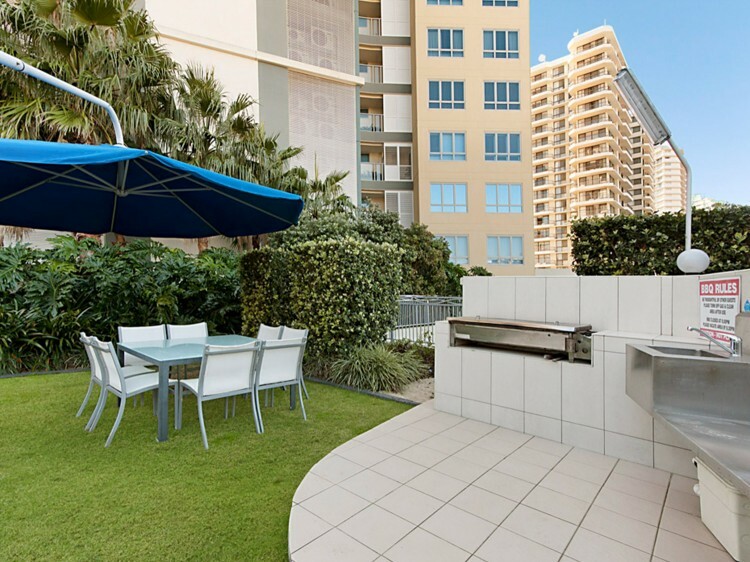 Blue C Coolangatta is perfectly positioned opposite the pristine Coolangatta beach and is located 5 minutes from the Gold Coast International Airport. Restaurants, shops and clubs are all within walking distance. 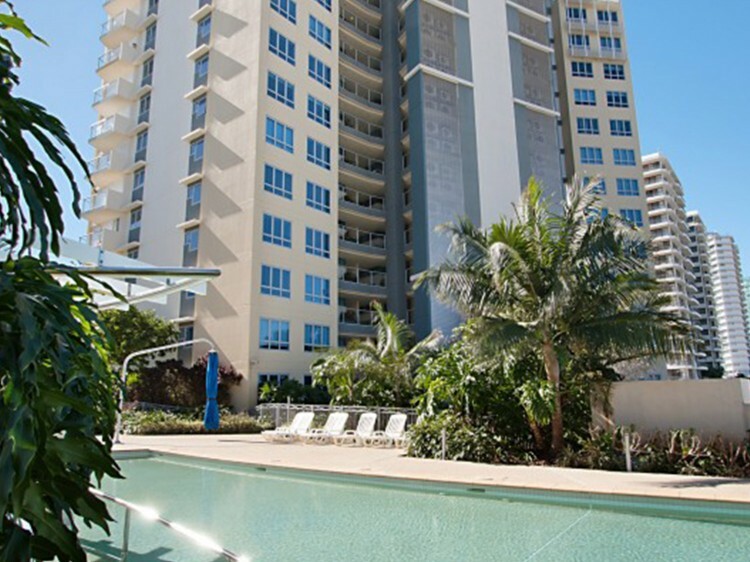 Luxurious 1, 2 & 3 bedroom apartments with stunning ocean views face the pristine waters of Coolangatta beach. The apartments provide an open ultra modern plan with sliding shutters to outdoor "lanai" (balcony) creating additional all-weather entertainment areas not to mention spectacular views. Perfect accommodation for couples, honeymooners, bridal parties, families and business. State of the art facilities include a large heated lagoon style pool spa, gym/sauna and BBQ entertaining area under cover. 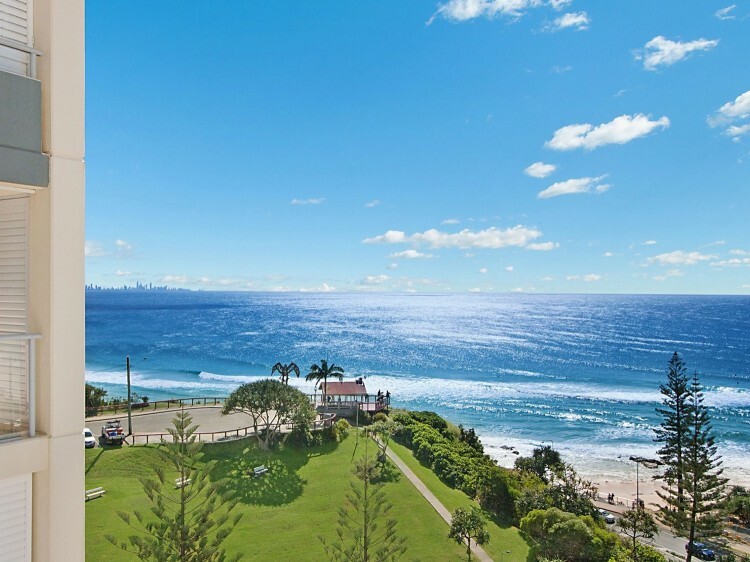 The beaches of Coolangatta have some of the Gold Coast's best surfing conditions and most picturesque scenery. Greenmount Beach and Rainbow Bay are the Gold Coast's only North facing beaches providing sheltered conditions for swimming and making them the best child-friendly beaches on the coast. 1 Bedroom Beach View - these apartments offer guests fantastic ocean views, large private balcony, ensuite, king bed, open modern living area, fully self contained apartment with air conditioning. Cable TV, linen and parking for one vehicle free of charge. 1 Bedroom Ocean View - situated on a higher level, these apartments have magnificent ocean views, are fully self contained with full kitchen and laundry facilities, air conditioning, modern decor, open living area, laundry, DVD & CD player, and a queen size bed. 2 Bedroom Beach View - fully self contained modern apartments all feature ocean views from the spacious private balconies situated on lower levels. Other features include air conditioning, ensuite, open living area with modern furnishings, linen, cable TV and parking for one vehicle free of charge. 2 Bedroom Ocean View - situated on a higher level offering magnificent ocean views, are fully self contained with full kitchen and laundry facilities, air conditioning, modern decor, open living area, laundry, DVD & CD player, ensuite, a queen size bed in the master bedroom and two single beds in the second bedroom. 3 Bedroom Ocean View - these 3 bedroom apartments offer varying ocean views from the spacious private balconies. All apartments are fully self contained with air conditioning, ensuites, open living area with modern decor, linen, cable TV and parking for two vehicles free of charge. Situated on a higher level, these apartments have magnificent ocean views, are fully self contained with full kitchen and laundry facilities, air conditioning, modern decor, open living area, laundry, DVD & CD player, and a queen size bed. Fully self contained modern apartments all feature beach views from the spacious private balconies situated on lower levels. Other features include air conditioning, ensuite, open living area with modern furnishings, linen, cable TV and parking for one vehicle free of charge. Situated on a higher level offering magnificent ocean views, are fully self contained with full kitchen and laundry facilities, air conditioning, modern decor, open living area, laundry, DVD & CD player, ensuite, a queen size bed in the master bedroom and two single beds in the second bedroom. 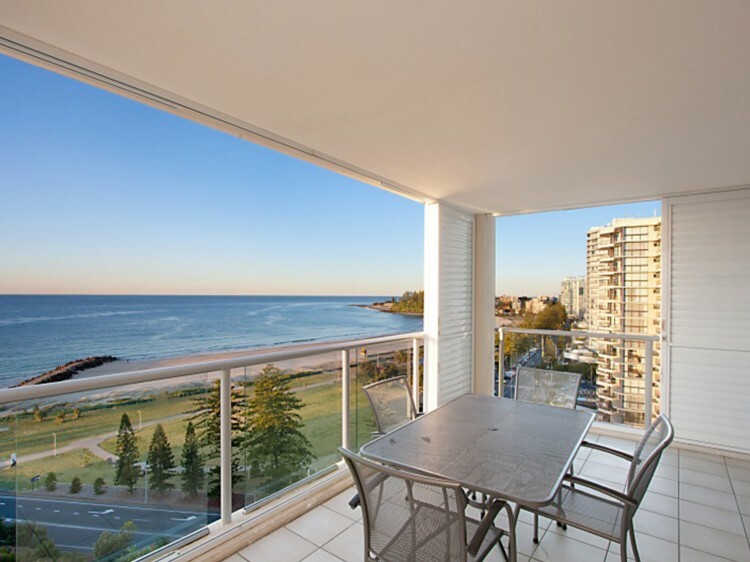 These 3 bedroom apartments offer varying ocean views from the spacious private balconies. All apartments are fully self contained with air conditioning, ensuites, open living area with modern decor, linen, cable TV and parking for two vehicles free of charge. Photo ID and a credit card pre-authorisation will be required on check-in for all bookings. Should a credit card not be available, you will be required to pay a cash bond of $300. One allocated car park per apartment is available in the underground car park free of charge. Other vehicles are welcome to park in the Visitor’s car park, also underground.